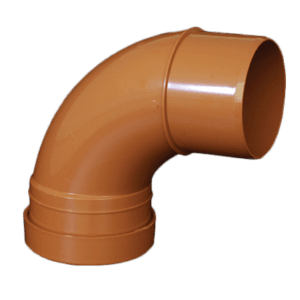 We keep a range of Puriton and Protectaline Barrier Pipes in stock, these pipes are approved for use in brown field sites to protect the drinking water from contaminated land. The range used for securely distributing water via contaminated land (brownfield sites) or on building sites with possible future contamination issues, ie: petrol station forecourts. It consists of a normal internal PE80 or PE100 layer (for carrying out the water) wrapped in an impermeable aluminium barrier layer (to stop contaminant ingress) and an outer polyethylene protection afterwards. Sizes 25-355mm are available. 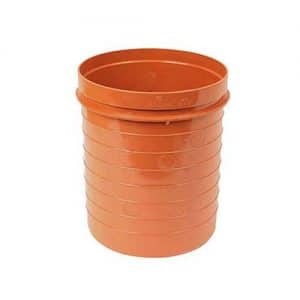 The range features a reinforced pipe used to protect water supplies against certain types of contaminants from the ground that can degrade standard MDPE pipe and place your water supply in danger. There are different types of these product ranges available, including ductile iron, plastic-coated copper and multi-layer plastic with a metal layer. 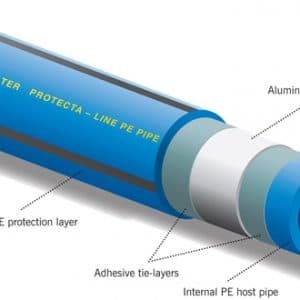 The most common range is used for water distribution and includes a polyethylene core surrounded by a protective metal barrier and covered with another layer of polyethylene to act as a protective barrier. This product range is identifiable using the black/brown stripes along the length of the outer coating of plastic. The picture adjoining reveals a cross-section. The methods of construction of are completely different to standard MDPE ranges and this makes it a much more expensive product to manufacture. Why Use Them Over Normal MDPE? The metal produces a barrier to permeation of hydrocarbons, such as gas, and protects the water in the core from contamination. These products not only provide added security against land that's already contaminated but also protects against any potential troubles going forward. Although innocuous at the time, a simple drip of oil or leak of gas from a vehicle sitting on a driveway can, over time, start to permeate through the floor and a contaminating substance could come into into contact with the pipe then contaminates seep through and gets into the water supply. Each application will be evaluated on its merits. Where no ground condition assessment is provided to support the program, your water authority will make a determination about the pipe range based on the details on your program and other sources of info available to them. If they determine that the risk is sufficiently high, they'll specify that a suitable barrier pipe must be used. You then have the option to accept the decision or to provide them with a ground condition assessment to provide them with more info. A further review can be made and may amend their decision. This will definitely incur a delay to your program so you are encouraged to provide a ground report with your application if you have any concerns about your building site. It is important to note that the choice of the product resides entirely with your water authority. You're strongly advised not to lay any pipework until you've sent your completed application form to your water authority, and spoken to a member of the team to ensure that you your distribution pipe and diameter is correct. 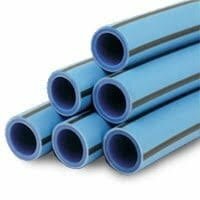 If they ask for a protective pipe range to be installed and you install MDPE in your property boundary instead then your water authority can refuse to connect your supply. When is it Necessary to be Used? In the absence of a ground condition assessment for a new or replacement distribution, where the site is presently employed as or has previously had activity in one of the above categories, your water authority is likely to ask you to lay your supply pipe in an approved material, such as protectaline or puriton pipe ranges. How can I find out for sure if the land is contaminated? To determine if you have contaminated land and will need to use barrier pipe, you'll need to get a floor condition assessment (soil report) carried out. We adhere to the WRAS Guidance Note 9-04-03 Issue 1, The Selection of Materials for Water Supply Pipes to be Laid in Contaminated Land, which you can get a replica of online. Then they might allow you to install MDPE if the levels of contaminants are below the limits given. However, if these limits are exceeded, then a more protective system will have to be installed. It's important to understand that a floor condition assessment is used along with other procedures to determine the probability of contamination to your supply. Because we're here. We're available! Need to call us? We'll answer. Want to email? Expect a reply. Order something, well - expect it to arrive! In the eventuality that you do run into an issue? Then expect us to put it right! That's why we called ourselves EasyMerchant - We stand out because we make your life a simpler one. For builders, contractors and tradesmen in the construction industry who can't afford delays in getting critical goods. EasyMerchant guarantees you receive the products you require, on time to finish your project without any flaws or over-runs. We stock a comprehensive selection of items, that are accurately chosen and fast shipped so you can finish your projects on time, every time. In our view customers usually buy because either the products are cheap, or because their provider looks after them, or because they want the goods quickly - So we thought we'd do all three! We hope you enjoy your experience using EasyMerchant, and if you have any issues at all, just let us know, we will look after you. We Easymerchant believe in something known as the "Service Triangle". For the ones that haven't head of this earlier, it is the connection between cost, product and service. We believe you have to achieve satisfaction in each of these areas in order to fully please a client and win their repeat business. Unfortunately, this seems to have been lost on the majority of the other net merchants out there and the cyber space seems filled with cheap product ranges, cheap employees, and an even more cheaper delivery support. Here at EasyMerchant Limited we use our years of business experience to streamline the process. We utilise our long standing connections with industry leaders to create an unbreakable network geared solely to your own satisfaction. We use our buying power to buy in bulk and pass those savings on to you personally, and we carefully pick and package your order, before sending it out for shipping on a professional vehicle whenever possible. Feel free to contact us if you need to view installation instructions or a list of product accreditations. We will be able to source these on request!